There are several effective remedies for Alzheimer’s disease. This may be surprising to some, as one is led to think that such a condition (which appears to be irreversible brain damage) is un-treatable. However, people are making amazing recoveries from this dreaded disease every day. The two most important aspects to treating Alzheimer’s disease are removing heavy metals, especially mercury, from the brain and providing high dose sublingual Vitamin B12 , especially in the form of Methylcolbalamin. 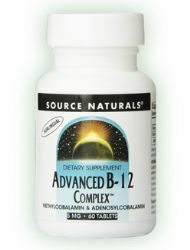 Vitamin B12 Methylcolbalamin : 2 versions of this remedy (both in sublingual lozenges) are available. Please see here for further details. Heavy Metal Detoxification: The product Deep Cell Detox (DCD) is designed to remove heavy metals, including mercury from the system. 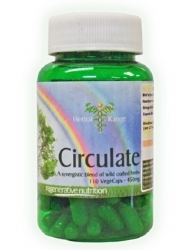 This comprises Seagreens, MSM, Vitamin C (Sodium Ascorbate), Alpha-Lipoic Acid & Acety-L-Carnitine. 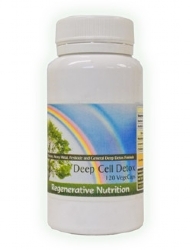 Currently all of these supplements are available individually from Regenerative Nutrition as well as in the DCD product. Please see here for further details. Begin with Vitamin B12 Methylcolbalamin Lozenges. Dissolve one lozenge in the mouth one or more times daily. After a week or so add in the Deep Cell Detox (DCD) Formula. Although there are many other aspects to the causation of Alzheimer’s disease such as amyloid beta compounds accumulation and poor circulation, prioritizing the heavy metal removal and supply of Vitamin B12 is an approach that has the most, anecdotal, positive results. Most cases of Alzheimer’s disease respond well and improve considerably just with Vitamin B12 Methylcolbalamin and DCD, but if the disease is well established then deeper therapy may be needed. There are a few supplementary nutrients (listed below) that will further support recovery from more advanced stages. The use of specific anti-oxidants has been shown, in studies (see below), to potentially help improve brain function in patients with Alzheimer’s disease. Some of these anti-oxidants have also been shown to help offset some of the toxic effects of amyloid beta compounds in the brain cells, as well as improve brain function. These anti-oxidants include grape seed OPC, Ginko Biloba and Turmeric. Grape Seed OPC: The June 18, 2008 issue of The Journal of Neuroscience published the discovery by researchers at Mount Sinai School of Medicine in New York that administering grape seed polyphenols reduces amyloid beta aggregation in the brain and slows cognitive impairment in a mouse model of Alzheimer's disease. 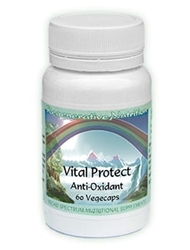 Grape seed OPC, Ginko Biloba and Tumeric are available as Vital Protect Anti-Oxidant formula from Regenerative Nutrition. Please see here for further details. 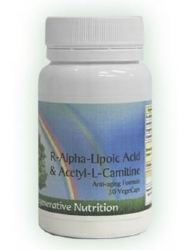 Alpha-Lipoic Acid & Acetyl-L-Carnitine: These two combined also have a role in heavy metal detoxification, especially in the brain, and helping the brain cells to function properly as evidenced by studies involving improved cognition and memory. Studies of rat ageing have suggested that the use of Alpha-Lipoic Acid & Acetyl-L-Carnitine results in improved memory performance and delayed structural mitochondrial decay. As a result, it may be helpful for people with Alzheimer's disease or Parkinson's disease (G. Aliev, J. Liu, J. C. Shenk, K. Fischbach, G. J. Pacheco, S. G. Chen, M. E. Obrenovich, W. F. Ward, A. G. Richardson, M. A. Smith, E. Gasimov, G. Perry, B. N. Ames (2008). "Neuronal mitochondrial amelioration by feeding acetyl-L-carnitine and lipoic acid to aged rats". J. Cell. Mol. Med. Epub ahead of print: 080329002216155). 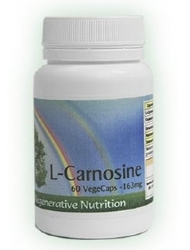 Alpha-Lipoic Acid & Acetyl-L-Carnitine is such an important remedy combination. 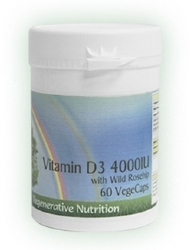 Available as a single capsule, as well as being part of the DCD formula. It is a valuable promoter of healthy brain function. Please see here for further details. Another important aspect in brain function restoration of Alzheimer’s patients and the elderly is restoring the ability of cells to function properly. Every cell has a ‘mini-cell’ inside called a Mitochondria. These are like biological spark plugs that get the cells to breathe and to produce energy. These mitochondria are easily damaged by toxins that accumulate over time and also by toxins that are produced by the amyliod beta aggregation. Perhaps even more important is that their function is hampered by mercury, that is found in far higher levels, in the brains of Alzheimer’s patients. Specific enzymes do have an effective role in restoring mitochondrial, and hence cell function, to the brain. They also can contribute to the overall health of a person. 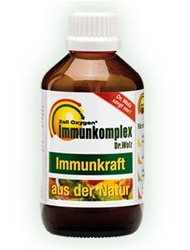 Zell Immunocomplex contains these enzymes and is a very useful tool for dealing with any released toxins. This is not an essential part of the protocol as Vitamin C (Sodium Ascorbate or Sodium Ascorbate with Acerola Cherry) can also help in this area. However, the broad-spectrum support obtained from Zell Immunocomplex and the specific respiratory enzymes it contains will help the Alzheimer’s patient make a fuller recovery. Zell Immunocomplex contains specific respiratory co-enzymes that help restore ageing and damaged cells, including brain cells, towards normal function. These co-enzymes include NADH, Q6 and Q10. Please see here for further details. and Zell Immunocomplex 30ml daily. Further adding Magnesium, Apoaequorin and Coconut Oil as detailed in the August 2012 update section below; and NADH as detailed in the 2016 update below that. Note: Often good results can be obtained from just the use of one supplement, so if there is a problem with patient compliance or other administration problems, or finance problems; do not give up, do what you can with your selected supplement(s) of choice. 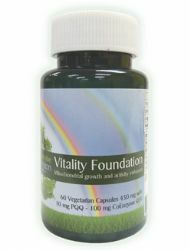 Our role is to provide you with all the main tools (nutrients) that can be helpful. Incrementally introducing them all over a period of time stands the best chance of complete success. Note: if finance is a problem then using 5 grams of MSM powder daily in juice or water will remove mercury from the brain, but nutritional support for detoxification such as Vitamin C and preferably also some Zell Immunocomplex will often be needed. The most cutting-edge research suggests that Alzheimer's may stem from an inability of the brain to process glucose, leading to cell death. But the brain has another source of fuel: ketones, produced by the body from mid-chain triglycerides like those found in coconut oil. In fact, the most promising experimental Alzheimer's drugs being tested today is nothing more than medium-chain triglycerides derived from coconut oil. No need for drugs, for some people, coconut oil has proven to slow the progression of Alzheimer's and may have even prevented it. A good degree of return to normal occurs in some cases. One of those people is Steve Newport, whose Alzheimer's has slowed considerably. Some of his symptoms even reversed, thanks to the unlikely treatment prescribed by his wife, Dr. Mary Newport, a physician who runs a neonatology ward at a Tampa, Fla., hospital. Dr. Newport became determined to help her husband after the severity of his disease was discovered through an Alzheimer's test in which the person being tested is asked to draw a picture of a clock. "He drew circles and several numbers just in a very random pattern, didn't really look anything like a clock," she said. "And the doctor pulled me over to the side and said, 'You know, he's actually on the verge of severe Alzheimer's at this point, he's beyond moderate," Dr. Newport recalled. "So that was very, very devastating news," she said. Dr. Newport began learning everything she could about her husband's disease. "It appears to be a type of diabetes of the brain and it's a process that starts happening at least 10 or 20 years before you start having symptoms and it's very similar to type 1 or type 2 diabetes in that you develop a problem with insulin," she explained. In this case, insulin problems prevent brain cells from accepting glucose, their primary fuel. Without it, they eventually die. But there is an alternative fuel -- ketones, which cells easily accept. Ketones are metabolised in the liver after you eat medium chain triglycerides, found in coconut oil. Dr. Newport added coconut oil to her husband Steve's diet. Just two weeks later, he took the clock test again and demonstrated stunning improvement. Three weeks later, Steve took the clock test a third time and continued to perform better on it. And it wasn't just intellectually, he also improved emotionally and physically. "Instead of being very sluggish, not talking very much in the morning, he would come out in the morning with energy, talkative, and joking, and he could find his water and his utensils," Dr. Newport said. She documented Steve's success in a book titled, Alzheimer's Disease: What If There Was A Cure? Dr. Newport received many "thank you" letters from people whose loved ones were suffering from Alzheimer's. Each of the letters claimed their family member was helped after they followed Steve's diet. So until a high potency ketone ester is available to the general public, coconut oil is still a good ketone source. Just make sure it's pure - in other words, non-hydrogenated. Avoid any hydrogenated oil, including coconut oil, because hydrogenated oils are the same thing as dangerous trans fats. Check the list of ingredients for the word, "hydrogenated." Some people are afraid to eat coconut oil because they think it's bad for your heart but it's actually very healthy. Dr. Beverly Teter is a lipid biochemist researcher at the University of Maryland and an expert in the area of dietary fat. She said that years ago, coconut oil was criticised for raising cholesterol. But scientists have since learned there are two kinds of cholesterol -- LDL, the bad kind, and HDL, which is very good for you. HDL, the good cholesterol, is the kind that coconut oil raises. "So they put out the message that it increased serum cholesterol," Teter explained. "But the truth of the matter is, it was helping the profile of the serum cholesterol." "That never has been corrected in the public press, and I think that's the reason people have misconceptions about it," she said. Not only does coconut oil improve cholesterol levels, Teter said the way it helps the brains of some Alzheimer's patients can even be extended to people with Parkinson's disease, ALS, epilepsy, dementia, even schizophrenia and autism. Apoaequorin is a completely safe protein you already have in your own body. It can reverse this process. As it did for Carolyn. In fact, a major study proved that it can keep brain cells alive longer and cut cell death by up to 50%. In addition, a recent study confirmed that it significantly improves memory, attention and concentration. Many people see improvement in as little as a week. Whatever the original cause, the root of the problem of excess calcium in the brains nerve cells is most likely due to magnesium deficiency. Taking supplemental magnesium will have multiple benefits for the brain and the overall health. It promotes proper nerve function and reduces inflammation, a cause of nerve cell impairment and eventually destruction. It protects the brain from excess calcium and has even been found to reduce aluminium and mercury uptake of the brain, two major toxicities linked to nerve damage and hence Alzheimer’s. 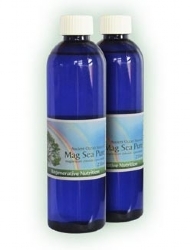 The best way we know of to get sufficient magnesium into the body is the use of topical applications of magnesium Chloride. 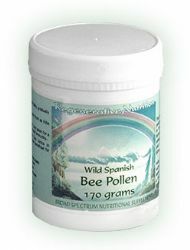 It can be massaged into the skin anywhere on the body and does not have to be taken by mouth. Quoting from Transdermal Magnesium therapy by Dr Mark Sircus (chapter 20 Blood-Brain Barrier &magnesium in Alzheimer’s) ….. "and researchers think that this metal (magnesium) protects brain tissue against the effects of cerebral ischemia, brain injury and stroke through its actions as a calcium antagonist and inhibitor of excitatory amino acids"
So by supplying adequate amounts of magnesium (10 to 30 ml daily of the oil applied to the skin) not only is excess calcium removed but nerve integrity will be enhanced; as magnesium is the most important mineral for nerve health and function. It is known to be deficient in all neurological disorders. 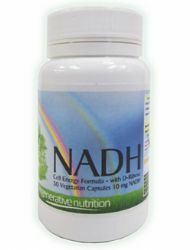 Dr, Birkmayer suggested that higher doses of NADH would be even more effective, e.g 40mg or higher dose of NADH. The supplements recommended for the treatment of Alzheimer's are listed below. Not all will necessarily be discussed in the article, as some may have been added after the article was posted. If a listed supplement is not mentioned within the article, or you wish to know more about any of the listed supplements, you can find out more information by clicking on that supplement below. You can also now add to your basket directly from this page.